We have been trying for the past couple of years to grow as much of what we eat as possible. We have also been trying to get away for processed foods. This is way I do not coupon like I use to. I have learned that spending money on the basic food items that are not processed is cheaper and so much better for my family!! So the other night when I made supper it hit me that the whole meal was from our farm! 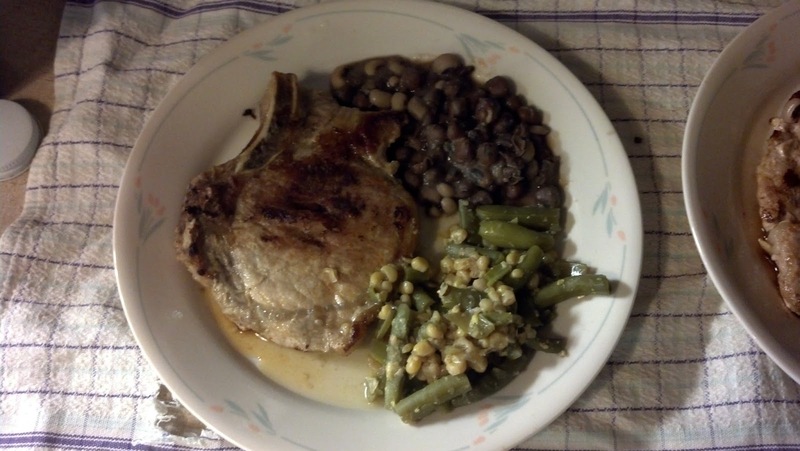 From the Pastured Pork to the peas and the corn...all of it came from our farm. And this is not an exceptional meal. It's just one of many that we have on a regular basis. It requires work but it's so worth it!! Get all our post by subscribing to my blog!